While no description can fully describe all that takes place in an episode, we start by answering some questions. Most notably; has the internet killed the underground? We all like to acquire new music but get to know it in our own way, its a total nerd question but a relevant detail and good conversation to put it simply. As you could conclude we left some of our topics open to you - the fans - so in closing we complain about antifa and their efforts against the band MARDUK, but perhaps you hadn't quite looked at it from our angle? 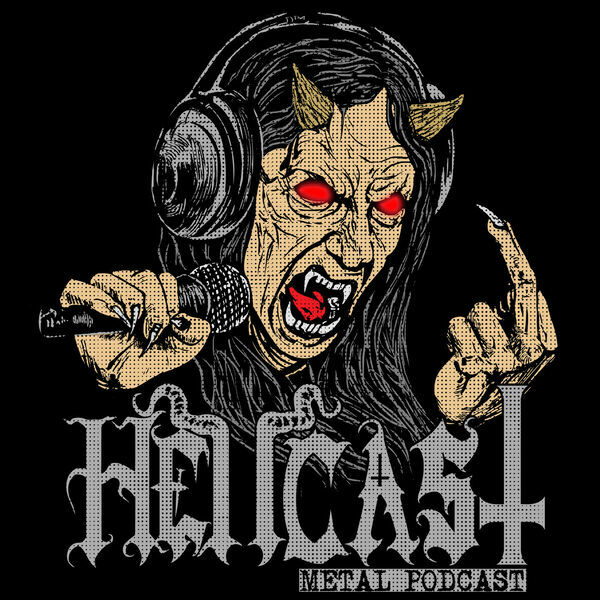 The plot certainly has thickened but will soon unveil its guise as you hear HELLCAST! LIVE BURIAL "Age Of Oblivion" | JOE PESCI "Beating Robert Mugabe to Death" | BESTIAL WARLUST "Heathens" | INVOCATION SPELLS "The Revenge of the Serpents" | MARDUK "Slay The Nazarene" | FLAMES "Revenge"